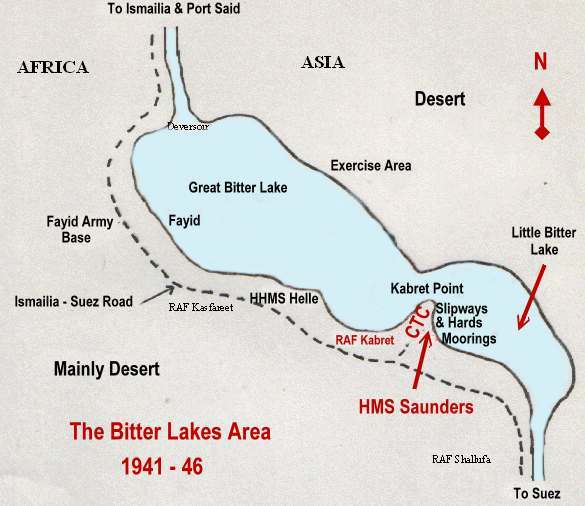 The Combined Training Centre (CTC) Middle East at Kabret, on the Egypt's Little Bitter Lake, was the first Combined Operations Training Establishment located outside the United Kingdom. Its purpose was to train RN personnel in the operation of landing craft and together, with the troops of many Allied nations, to practice amphibious landings prior to operations against the enemy in the Mediterranean. Its associated naval base, HMS Saunders, was commissioned in March 1941 (under the name of HMS Stag, Division K) with Commander RKC Pope DSO, RN in command. 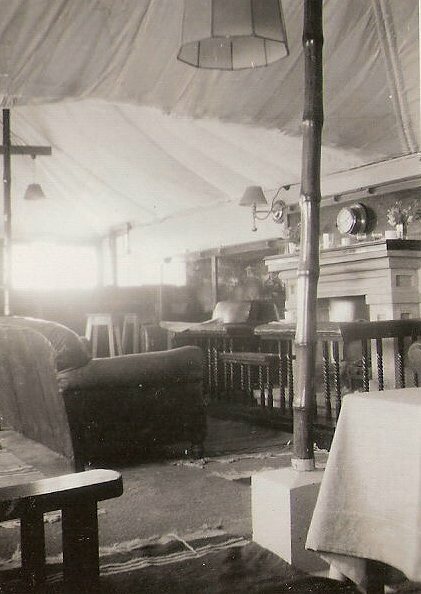 Accommodation in the early part of 1941 was completely tented but, within a few months, odd pieces of wood and packing cases scrounged from the RAF became the raw material for the construction of buildings, which rejoiced in the name of offices. 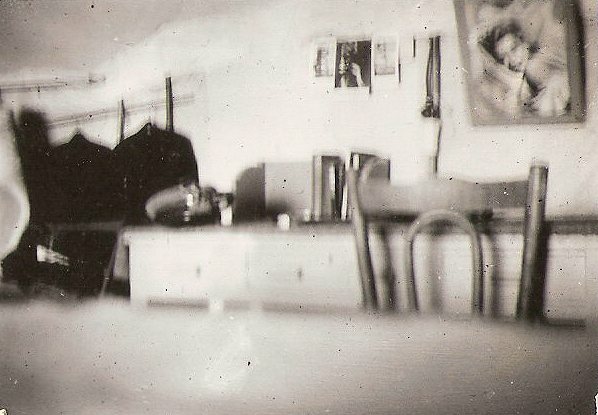 A similar approach was adopted by everyone to furnish offices and accommodation with beds, chairs and tables, all created in their spare time from discarded wooden detritus! The comfort in which individuals lived depended entirely upon their skill as a carpenter and their success in 'procuring' wood. 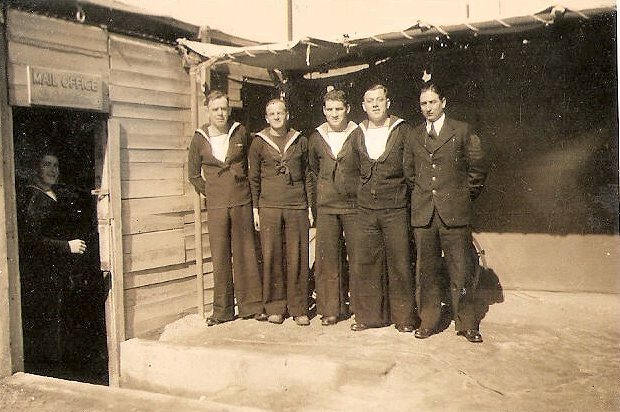 By May 1941, the 'nucleus' personnel of the CTC arrived and established itself in a camp between the Navy and the Point. Its office accommodation was a Canal Company houseboat moored alongside the sea wall at a point where Hornblower Hard(1)once stood. A slipway was constructed capable of receiving LCM (Landing Craft Mechanised) and in the absence of repair facilities on shore, all engine repairs and replacements were undertaken aboard the ex-Danube tug ‘Princess Elizabeth’ which, fortunately, had a well-equipped engineering repair shop. By June 1941, we had 1 LCT, 9 LCAs, 5 LCMs and 3 LCP(L)s(2)but very few were in running order. The numbers and condition originally allocated to us had been severely depleted by actions in Greece, Crete and the Western Desert - 7 LCTs, 19 LCAs and 10 LCMs were sunk, abandoned or otherwise lost. Perhaps, fortuitously, the Army was too preoccupied in North Africa to spare many troops or their supporting landing craft for combined amphibious training exercises, so the training effort was restricted by the numbers coming forward and our limited supply of suitable landing craft. In practice, it was mid 1942 before intensive training programmes were established to meet the high demand, which coincided with the change of fortune in favour of the Allies in North Africa. Rommel's pivotal defeat at El-Alamein was in Nov, 1942. LCTs, LCMs and LCPs had been our work horses but, as craft released from the desert campaign trickled back to HMS Saunders, the smaller LCAs came into their own. 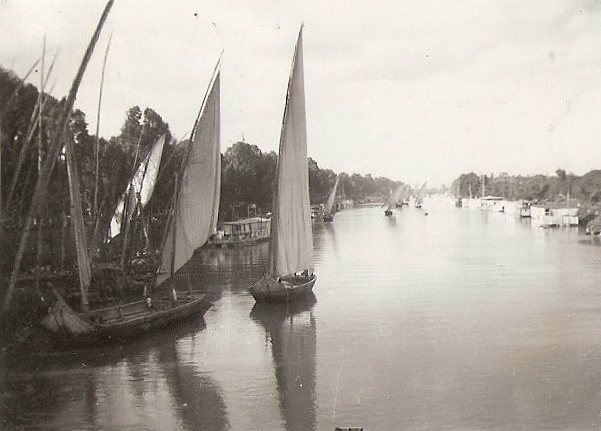 Two flotillas were sent to Cairo to patrol the Nile against the ever-present threat of parachutists and a Naval Battalion was formed to guard the water-works and other vital points in Alexandria. 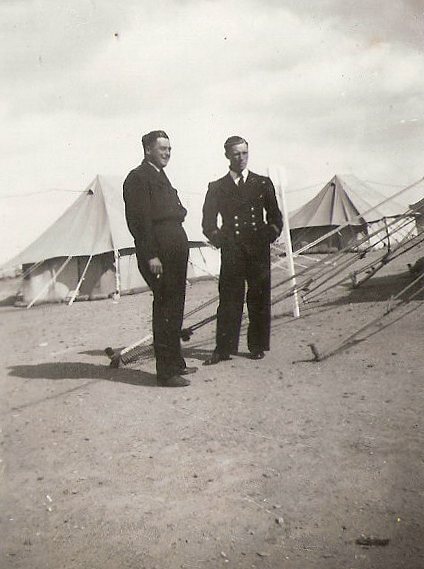 In June 1942, Captain GIS More, OBE, RN, replaced Cdr Pope in command and, by the end of the year, training courses had been started in earnest at the CTC. 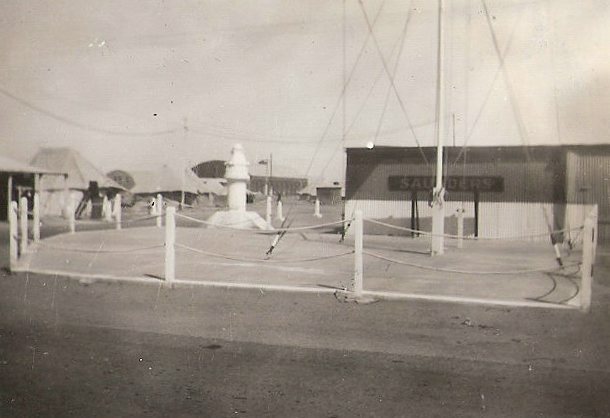 A security screen was established around the base to restrict access to what was now an important, secret amphibious training e stablishment. In October, a flotilla of our LCAs was sent to Colombo but, with the procurement of various other craft, HMS Saunders got into top gear for a continuous programme of intensive training. In November, courses on Combined Operations were held for senior and junior staff from the Staff College at Haifa and, around this time, work was started on the dredging for the hards (concrete beach-landing areas). 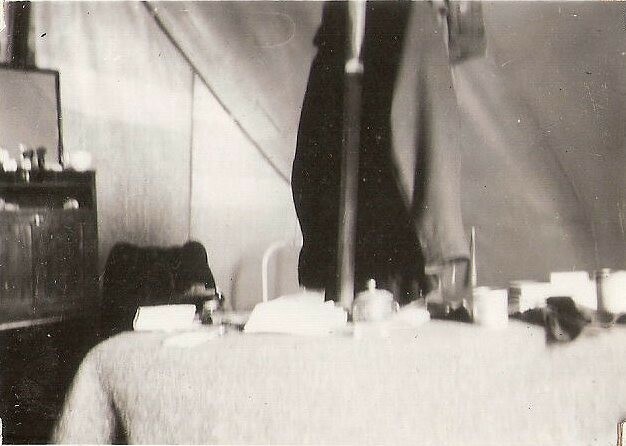 During May, 1943, 170 officers and 2,800 ratings from Force G were accommodated in the base. 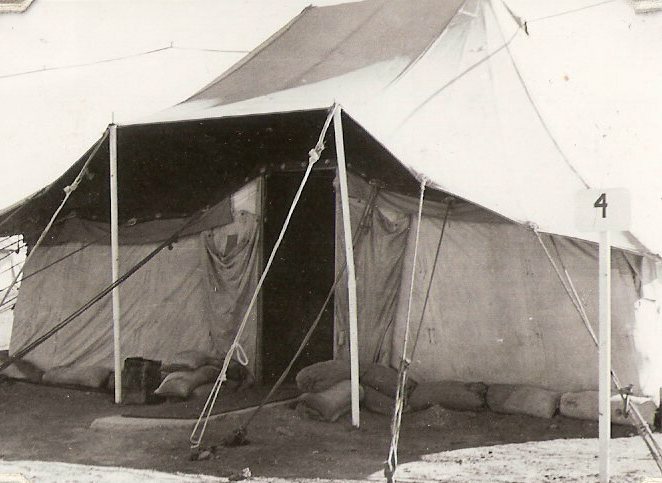 Relatively little construction was carried out to cope with this influx, so existing buildings outside HMS Saunders were used as offices with the personnel accommodated, as usual, in tents. After the departure of Force G to take part in Operation Husky, a calmer period followed during September and October 1943, when much-needed repairs and maintenance were carried out on our overworked landing craft. In December 1943 and January 1944, the 10th and 12th Infantry Brigades passed through the CTC followed by an Armoured Brigade a little later. From then training commitments gradually decreased as the main focus of the war shifted to the the opening of the second front in Normandy..
At about this time two specialised craft were required to be developed for use in future landings. Both had to be capable of operating safely in shallow coastal waters. The first was to lay a thick smoke screen and the second was to sweep mines in shallow coastal waters inaccessible to larger ships. HMS Saunders met both these needs by developing the prototype LCM fitted with a CSA smoke generator and an aero engine to disperse the smoke. A flotilla so equipped was used very successfully in support of the landings in the south of France. The second need was met by the formation of a flotilla of LCVs fitted with small Oropesa. (5)These were later deployed in the northern Adriatic where, it is understood, they were very successful. In May, 1944, political unrest spread throughout the Greek Naval Base HHMS Helle. HMS Saunders personnel spent several days in a futile attempt to resolve the various political factions but evacuated the camp when open mutiny broke out. For this work a signal of congratulations was received from the Senior Naval Officer, Red Sea and Canal Area. During the various advances and withdrawals of the British forces in the Western Desert, craft attached to HMS Saunders were always in the front line. The Western Desert Lighter Force did excellent work supplying our troops by sea, while inshore patrols were carried out by smaller craft such as LCPs, LCMs and LCSs, which sailed from Alexandria westwards under their own power and in all weather conditions. In those crucial days, the loss of even a small craft was a serious matter and hidden in Saunders' records are many reports of epic struggles to save minor craft, which would, by normal standards, have been written off. 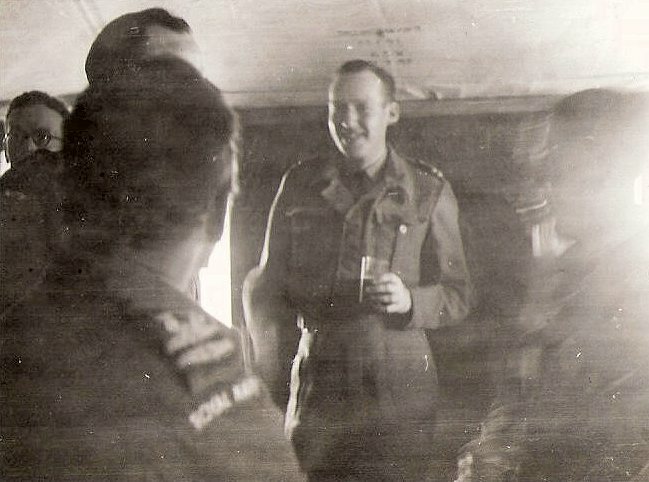 Lieut Cdr Clarke, RN, recalls the passage of a DD(6)flotilla of 11 LCMs from Benghazi to Tobruk from 25th to 27th January 1942, shortly after the start of the German offensive. To appreciate the nature of this passage we should be aware that these craft were the old LCM Mk1s, which were completely open to the elements. Such journeys were by no means exceptional. At 1400hrs on 25th January, NOIC (Naval Officer in Charge) Benghazi, gave orders for the LCMs to be ready to sail by 2000hrs. All afternoon we took on stores and took off personnel and gear to the various ships in the harbour. I had been unable to obtain sufficient petrol for the voyage to Tobruk, so arranged to re-fuel at Derna. In the course of the afternoon, however, we had the good fortune to find a lighter with about 2,000 gallons of petrol in it. This was at once distributed amongst the 11 craft. By 1800hrs all were ready and everyone had a meal. I then gave the boats final instructions. At 1950hrs the boats were manned and engines started. 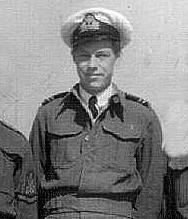 Just as we were starting off, Lt Cdr Gibbs arrived on the mole with a party of seamen to be carried to HMS Bagshot. I put them aboard Sub-Lieut Robinson’s lighter and told him to come after us as soon as possible. The remainder of the flotilla then proceeded out of the harbour and along the coast at slow speed waiting for Sub-Lieut Robinson to catch up. I showed a combined lantern astern for the other lighters to follow and as a guide for Sub-Lieut Robinson, who rejoined the flotilla at about 2330hrs. We then proceeded at 1500 revs until the moon set. As it was impossible to see the low-lying coast, and the weather was suitable, we dropped anchor until daylight. By 0700hrs, the flotilla was under way again but DD13 developed a defect in the port engine. The services of a motor mechanic from a neighbouring craft were obtained. By mid-morning the wind began to freshen from the SE and continued to do so until we rounded the point about 10 miles ENE from Telemaide, when it shifted to the west blowing force 5-6 with a heavy swell. It then looked as though we would be caught on a lee shore with a beam wind if we followed the coast, so I decided to stand off from the land with the sea on the port quarter to get sufficient offing to round Cape Mamer. We made the offing with nothing to spare and continued more easily with the sea astern. I again burned a combined lantern showing astern to keep the flotilla together. We passed Derna just after moonset, very thankful for having enough petrol, as it would have been impossible to round up into the wind to make Derna with the fresh breeze and heavy swell. At daybreak I found Ras-el-Tin abeam and the craft completely disappearing in the trough of the swell. I felt confident that the others could make Tobruk before dark and let them go on following the coast, while I stood out in DD13, which still had a defective engine, to try to cut down the distance, picking up the coast east of the island of Geziret-el-Maracheb at noon. During the forenoon a southerly wind got up against the swell making conditions very unpleasant. By this time the other craft were 8 or 10 miles ahead and DD10 began to drop back. I kept him in sight until 1600hrs but was unable to catch up with him. At 1800hrs I reckoned I was about 10 miles west of Tobruk. As the sandstorm, which had been blowing all afternoon, began to get worse, I decided to anchor in one of the small bays on that part of the coast, having been sitting on the cab since 0700hrs the previous day and not feeling up to competing with a sandstorm. 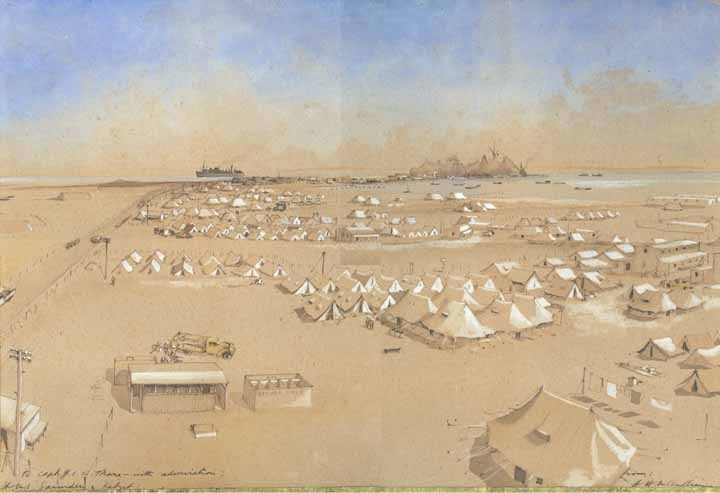 I got under way at 0700hrs the following morning and made Tobruk at about 0900hrs to find that the rest of the flotilla had arrived the night before, except DD10, which had continued on in the sandstorm and run aground 3 or 4 miles west of Tobruk. By June, 1944, under the codename Operation Appian, plans were made to move large numbers of Major Landing Craft from the UK to the Eastern theatre. After the Normandy landings, hundreds of these craft were surplus to requirements. HMS Saunders was to provide whatever support was required to effect their passage to India and beyond, such as accommodation, supplies, maintenance, adaptations and repairs. Although Saunders was, by this time, a large base, there was little spare capacity to accommodate large numbers of Major Landing Craft in transit to the east. To free up space, all landing craft held in the base were, by the end of July, transferred to locations around the Mediterranean. Trials had been carried out, which demonstrated that merchant ships could successfully tow LCTs from Suez to India. (7)The first Appian flotilla arrived in Port Said on December 31st, 1944. It was unfortunate that Capt More did not see his well-laid plans come to fruition. After two and a half years in command, he was ready to move on when relieved by Capt L H Bayley, RN, on the 19th of December. The recently constructed large theatre, main office block and other buildings provided accommodation for the new arrivals. The craft were secured and their crews settled in until towing ships with accommodation for the crews could be arranged. Each merchantman was able to tow one or two unmanned LCTs at a time and all craft were expected to reach their destination before the onset of the SW monsoon. In the event only a small number were lost. Small assault craft were carried out either by their parent assault ship or as deck cargo. More seaworthy craft, such as Infantry Landing Craft, went under their own steam. Considering limited time to complete Appian, I endowed great credit to everyone concerned since only five craft remained at Suez by the deadline of April 26th, 1945. With the completion of Appian I, preparations began for Appian II but this operation was more problematical for Saunders. Craft began to pile up at the base, when the onset of the monsoon period prevented them from making the passage to India and beyond. As a temporary measure the recently vacated Greek Base, HHMS Helle, was taken over as Saunders II and additional LCT mooring buoys were laid in the bay. Resources were once more stretched to the limit by the unfortunate coincidence of the landing craft hiatus and the arrival of a Royal Indian Navy LCT Squadron for Combined amphibious training. The site adjoining Saunders was taken over to accommodate the RIN personnel and commissioned as Saunders III. Their training was completed by mid-October and the men and their craft steamed to India under their own power, quite an achievement considering they had no previous experience of major landing craft. It reflects very well on the quality of the 6 weeks of training. In all, about 80 craft arrived at Saunders in the course of Appian II plus 18 older LCTs sent from Messina for training the Indian flotillas. The collapse of Japan rendered their presence in the Eastern theatre unnecessary and, with the exception of a few LCTs transferred to the Army or used for other purposes, they were all placed in a state of preservation under Austrian POW caretakers and put up for sale locally. With the end of all hostilities and an end to Operation ‘Appian’, HMS Saunders no longer had a purpose. It was kept open for a time while thoughts of a new CTC in the Middle East were considered. However, nothing came of this and early in 1946 the decision to close was made. Reductions ensued rapidly. Captain Bayley left on June 8th and on July 1st the White Ensign was lowered for the last time, leaving a small party of three officers and 14 ratings to oversee the disposal of the remaining landing craft. Thus ended a base, which had been involved in every Combined Operation in the Eastern Mediterranean, which had met every demand made upon it and which at one time had personnel scattered from Benghazi to Colombo. 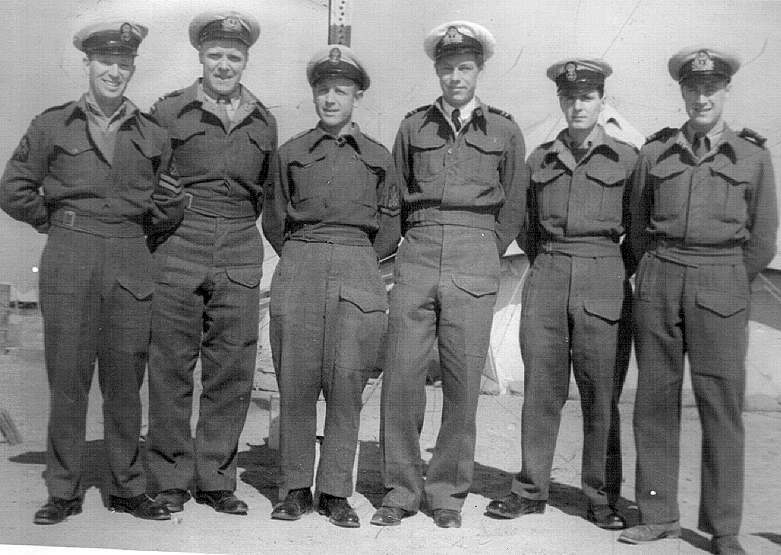 The officers and men who served at HMS Saunders had a proud record of achievement. Until the end of June 194, I never thought for a moment that Combined Operations would occupy such an important part of my life for the next five years. 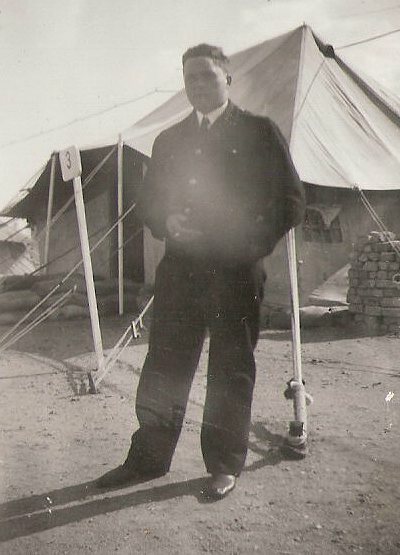 After a year at sea as a Telegraphist in an Armed Merchant Cruiser, I was selected as a CW candidate(8)and emerged from HMS King Alfred as a Temporary Sub-Lieutenant RNVR on the 15th November 1940. My first appointment was as No.1 of HMS Pingouin, a French ocean tug, which was one of several handed over by its Breton crew after the fall of their Country. Pingouin was fitted with a barrage balloon and formed part of the forces escorting convoys between Southampton and Sheerness. In June 1941 her career ended when salt water was fed into the boiler. We made Sheerness by the skin of our teeth. 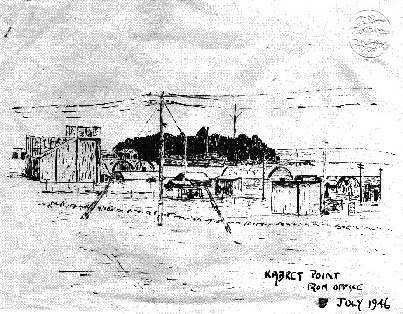 I was then selected to join a small group of commissioned members of the pre-war RNV (Wireless) Reserve set up by the Admiralty to train personnel in the operation of the special radio directional equipment being fitted in Landing Craft and to assess the capabilities of other navigational aids being developed at this time, designed to lead landing craft to their precise beach destinations. Thus it was in early July 194, I found myself in Combined Operations at HMS Northney on Hayling Island for a short introductory course. A Landing Craft Assault (LCA) had been fitted out with the special directional radio equipment but sea trials were limited by the tidal nature of the creek. I was not involved in the training of the ratings (designated later as Signal Trained Northney (STN)) but caught up with some of them much later on as mentioned above. 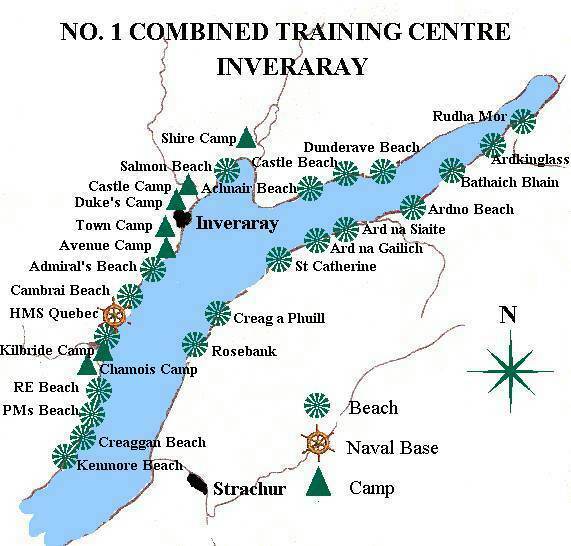 I was then ordered to report to HMS Quebec, which I discovered was the RN base of the No 1 Combined Training Centre at Inveraray, Loch Fyne, Scotland. I travelled north on the night train to Glasgow, followed by a longish passage in one of McBraynes Clyde steamers... a boring journey made interesting by the company of a couple of WRNS officers. My time at Inveraray was a doddle compared with the onerous duties many other RNVR officers were going through at the time. There was no wardroom as such and I was given a room in the Temperance Hotel, which was run by a formidable Scottish lady. As its name implies, there was no alcohol available on the premises but happily there was a door in the hotel's back yard, which led to the back yard of the pub next door (the George?). In this way it was possible to have a pint or a dram without appearing to enter or leave either establishment ! However, on the Sabbath the town was completely dry but there was a small pub on the opposite side of the Loch prepared to meet the alcoholic beverage needs of ‘bona fide travellers’, a status we could achieve after a short trip in an LCA ! At Inveraray I joined the other members of the Special Signals group. We spent the next few weeks learning more about the navigational aids and direction-finding equipment being developed for Combined Operations, including a ground-breaking infra-red beacon system. We also did some operational trials in the LSI (Landing Ship Infantry) Queen Emma. 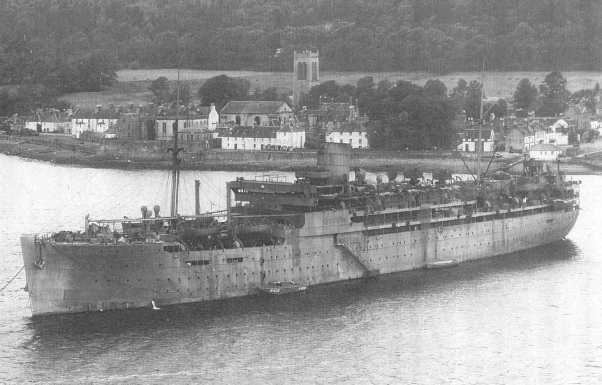 On my return to Inveraray my room at the Temperance Hotel was no longer available but I had been allocated a cabin aboard the accommodation ship SS Ettrick, which was anchored off the town. However, after a few days the whole group was sent on leave to await their next appointment. Before leaving Inveraray we were told where we were going and I thought I'd drawn the short straw as I was the only one being sent overseas. At that time I had no idea where this posting would take me but, as things turned out, mine was probably the most varied and interesting experience of them all. After a short leave I visited a little-known establishment in Haslemere, Surrey and the Cavendish Laboratory in Cambridge for final updates on the equipment. I was appointed to HMS Nile as 'additional for special duties’ and received my allowance for tropical uniform. This went straight to Messrs Gieves in exchange for a No.10 uniform and a magnificent white pith helmet, which in the event I never wore. I also acquired a pair of white shirts with thick padding down the back as protection against sunstroke, two pairs of white shorts, white stockings and white shoes. I boarded SS Strathaird for the long voyage out to Suez via Capetown and Durban. 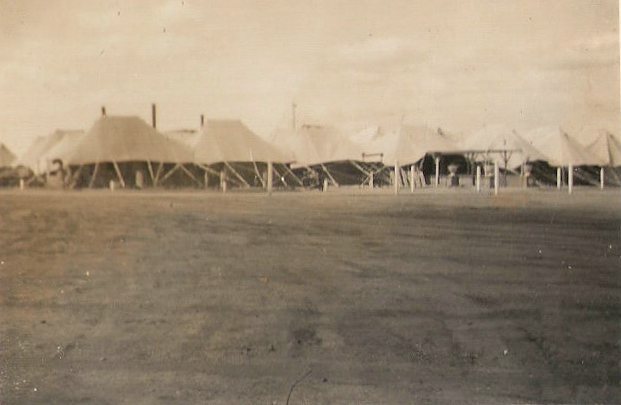 Although the convoy was fast and well-protected this was an anxious time, even though the accommodation and service were near peace-time standards. After disembarkation at Suez and a comfortable train ride to Alexandria, I reported to HMS Nile, where they had no record of my appointment. I checked in to the Cecil Hotel, a top-notch hostelry, and reported back to Nile a couple of days later, by which time things would be sorted out - or so I thought. When this did not happen I spent the next few weeks enjoying the flesh-pots of Alexandria with regular visits to HMS Nile to seek information, while living on my lodging allowance and casual payments. It transpired that Nile were expecting a Sub-Lieut N Philips rather than Sub-Lieut Philip Noel who, as far as they were concerned, had not yet reported for duty. The Wardroom at Navy House was small but very friendly. As the only officer travelling next morning, I joined the driver in the front of his sand-encrusted lorry bound for Kabret. 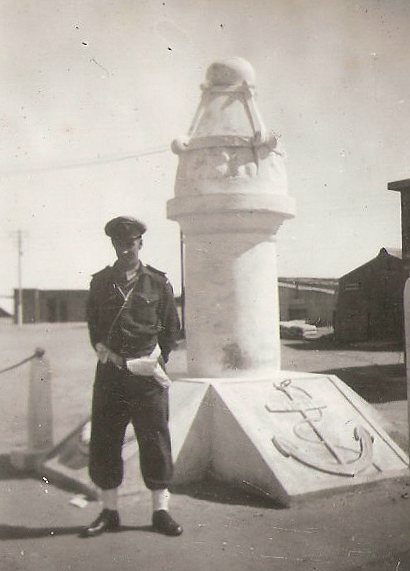 The date was the 3rd December, 1941 and I already had some idea of the world I was entering, which, in the event, I was to inhabit close on five years, eventually wearing three hats, Signals Officer, Staff Officer (Operations) and Naval Liaison Officer with the Suez Canal Company. What happened in that time is described in the earlier chapters above. The photos below were taken by the late Trevor G Williams who served at HMS Saunders during the war. They have reposed in the family album for 65 years (2010) and were seldom, if ever, talked about. On the death of his mother, the family album came into the possession of their son Guy, who has generously made the photos available for publication. The brief notes on each photo were taken from the individual photos. Guy would be delighted to hear from anyone who can add to his understanding of what his father did in the Middle East. Contact Guy via the e-mail icon opposite. 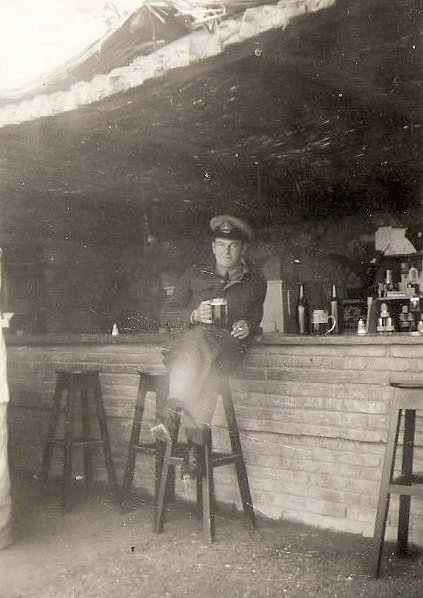 Wardroom HMS Saunders - An Oasis. 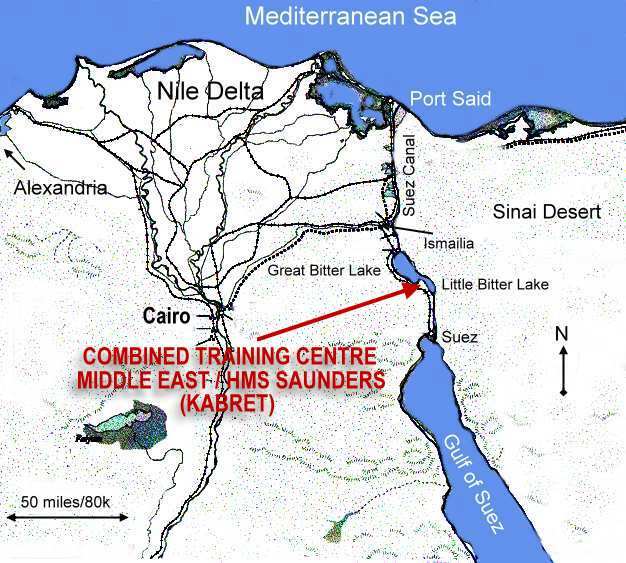 On this website by the same author Combined Operations Signals Training at HMS Saunders part of the CTC Middle East. 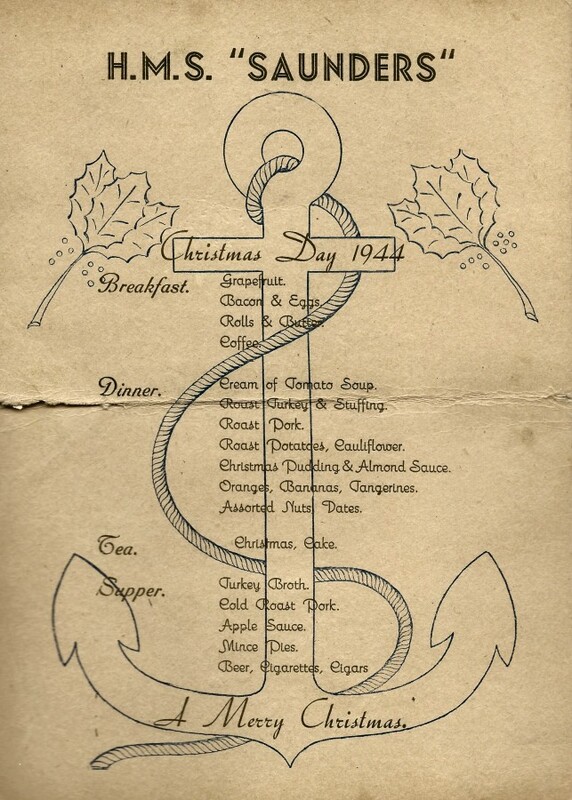 Photos left received from David Erwell - Christmas Day Menu 1944 and a theatre ticket. 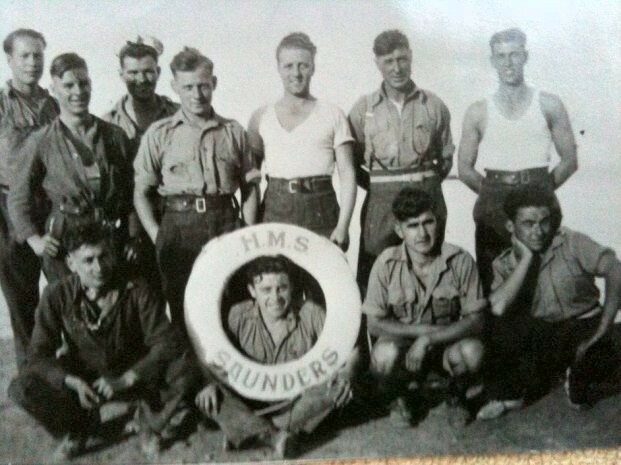 Donald MacKay Maclean (far right front row in photo opposite). I remember him telling me there were a good few cockneys in this team, but sadly I have no names. 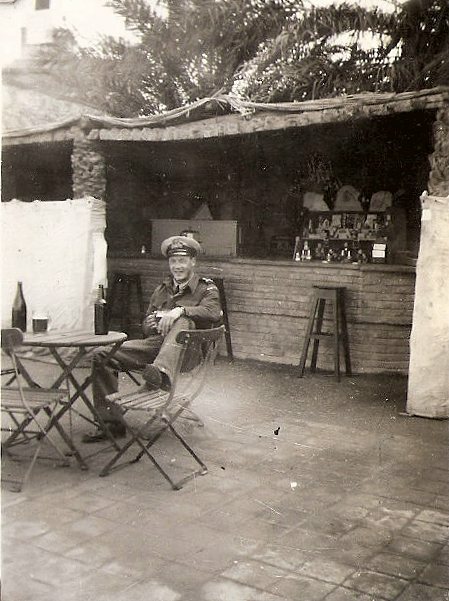 I know he worked on landing craft earlier in his naval career because he transported drinking water in landing craft along the Egyptian coast to Tubruk which was under a 6 month siege at the time. My father was from Ness on the Isle of Lewis. He spoke Gaelic. 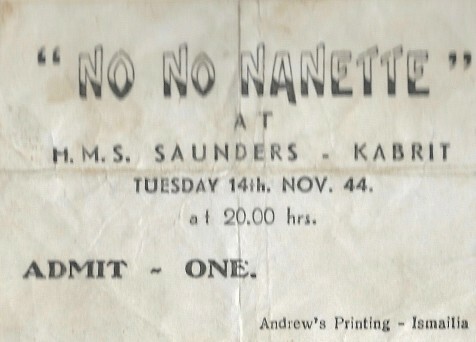 He was one of 37 young men who left from Ness to join the services and I know a few of them were sent to HMS Saunders. During his naval service he visited Norway, North Africa, Egypt and Reykjavik in Iceland where he cleared the snow at the airport driving a snow plough. A great job for a young man! He also served on HMS Kelly. 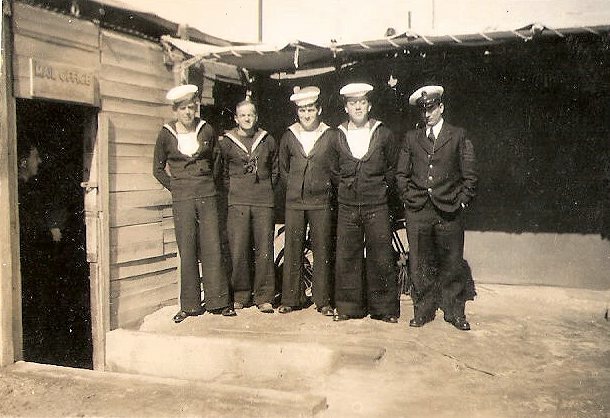 Special thanks to Commander Philip Noel,VRD RNR, for allowing us to publish this page which is based on reports he made to the Admiralty and Senior Naval Officer Port Said after leaving HMS Saunders in 1946. The content of the page was approved by the author before publication. If you have any information or photos about CTC Middle East or any Combined Operations in the Mediterranean/Middle East area please contact us.